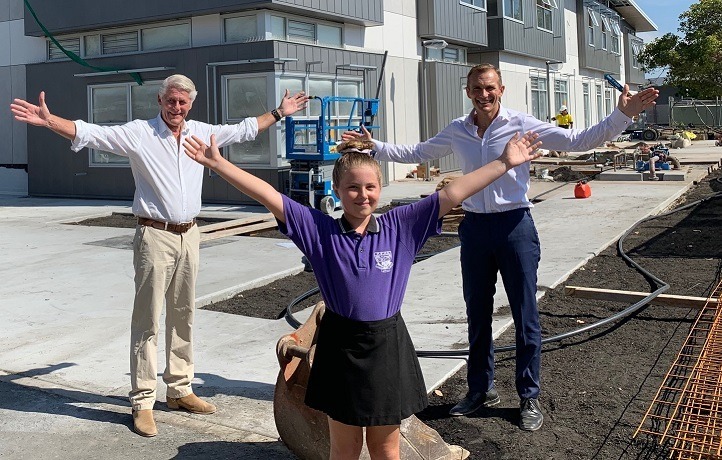 NSW Nationals Member for Tweed Geoff Provest has inspected the $15 million upgrade underway at Pottsville Beach Public School. Once the project is finished next month, the school will benefit from 13 new permanent classrooms and new administration facilities. All classrooms will be air conditioned as part of the Nationals in Government’s $500 million Cooler Classrooms program, that is seeing air conditioning delivered in thousands of classrooms across the State. Mr Provest said that only the Nationals in Government can deliver the new and upgraded schools that the Tweed community deserves. The NSW Government is investing $6 billion over four years to deliver more than 170 new and upgraded schools to support communities across NSW. In addition, a record $847 million is being spent on school maintenance over four years. This is the largest investment in public education infrastructure in the history of NSW.